As you may have noticed, Mark Reynolds of the Arizona Diamondbacks is off to a blistering start with a .344 batting average, .400 on-base percentage, five home runs, and a ridiculous 14.29 RC/27. I’ve gotten a couple of questions from fantasy leaguers wondering how legit Reynolds is. Let’s look first at his power numbers. Reynolds’ 2008 pace is ridiculous and won’t be continued. He’s hitting a home run every six at-bats. Over 500 at-bats, that would give him 83. As much power as he has, it’s not going to happen. This high number is being fueled by two things. The first is an extremely high HR/FB rate (42 percent) which will have to regress. The second is his 52 percent outfield fly ball rate. It’s possible he will sustain this (or a number close to it), but he has been over 40 percent just once in his career, which was at Advanced-A ball in 2006. Perhaps he has changed his approach to hit more fly balls, but a 32 at-bat sample is far too small to say for sure. Has anyone noticed a difference in his swing that might be causing this and might lead us to believe it can be sustained? Shoot me an e-mail if you have. Even a 20 percent HR/FB with a 40 percent fly ball rate— in line with his career norms — would make him a very good power hitter. He is 24 years old now, though, and on the upswing of his career. I think he could easily do better than this, at least in the HR/FB area. Let’s examine some HitTracker data on him. If you look at his HitTracker profile from 2007 compared even to a guy like Jim Thome’s HitTracker profile, there is a very noticeable difference. Thome has more dots (home runs) on his graph because he had more at-bats and a higher contact rate, and it’s worth noting his home park inflates lefty home runs by 40 percent. Reynolds, however, seemed to show more raw power. Reynolds pounded the ball, with three clearing 450 feet, two coming close, and 10 (total) clearing 400 feet. Thome didn’t hit any past 450. I also like that Reynolds pulls his home runs. Most are hit to left field. As we’ve said in the past, it makes perfect sense that when a batter can hit the ball, say 450 feet, this is his maximum effectiveness. He also will hit many that fall short of 450, a higher number than those that go 450. Reynolds didn’t hit a ton of those in 2007. Once they start dropping in (and they will drop in more frequently being hit to left field than center), we could really see his power numbers rise. Now let’s look at his 2008 HitTracker profile. He is again showing monster power. A very neat HitTracker addition this year can be seen in the column furthest to the right, titled “# Parks.” This is a measure of how many MLB ballparks each hit would have been a home run in. Three of Reynolds’ five home runs would have cleared the fence in all 30 parks. Another would have in 25 parks. Reynolds, simply put, has absolute monster power potential. If he somehow managed to keep his fly ball rate at 50 percent, I can’t even imagine the power numbers he would put up. Reynolds is not a .344 hitter, that much is clear. The primary cause of this inflated batting average, though, is not his BABIP, as we might suspect. In fact, the BABIP could very well improve despite already being a very healthy .333. He has a good career of BABIPs, and Marcels projected a .360 BABIP for 2008. Bill James projected .370. The cause of this high average is actually his inflated home run rate. As I said earlier, he’s hitting a home run every six at-bats. That’s a .167 batting average on home runs alone. Unsustainable. There are some encouraging signs for his batting average, though. One is the potential for an improved contact rate this year. It was below 70 percent just once in his minor league career (as it was in the majors in 2007), and he is currently at 72 percent. Reynolds is seen by some experts as a low batting average guy, but a contact rate above 70 percent is nowhere near that of other potent power hitters like Jack Cust (58 percent), Ryan Howard (62 percent), and Jonny Gomes (64 percent) to whom he is compared sometimes. A contact rate of 70 percent, a BABIP of .360, and an AB/HR of 19 (based on a 20 percent HR/FB and 38 percent outfield fly ball rate) would give Reynolds a .305 batting average. That is stunning even to me. I expected to see something closer to .270 or .280. Let’s fool around with some more possibilities. If the BABIP were just .320, the batting average would fall to exactly .280. And as we know, BABIP is prone to unexplainable swings, but if Marcels and James are right about it, Reynolds could be in for a big year despite a well below-average contact rate. Let’s say the contact rate were just 65 percent, like last year. That would give him a .286 average. If the contact rate were 65 percent and the BABIP were .320, then his batting average would tumble all the way to .260. Given a 70 percent contact rate, a 20 percent HR/FB, a 38 percent outfield fly ball rate, and 500 at-bats, Reynolds would hit 27 home runs. A drop to a 65 percent contact rate would bring that down to 25 home runs. A relatively small increase in fly ball rate or an increase in at-bats could cause him to hit over 30 homers. Reynolds has batted fifth for the past five games and is in a very good spot for RBIs. He has Conor Jackson (and his great OBP), Orlando Hudson and Eric Byrnes batting ahead of him. 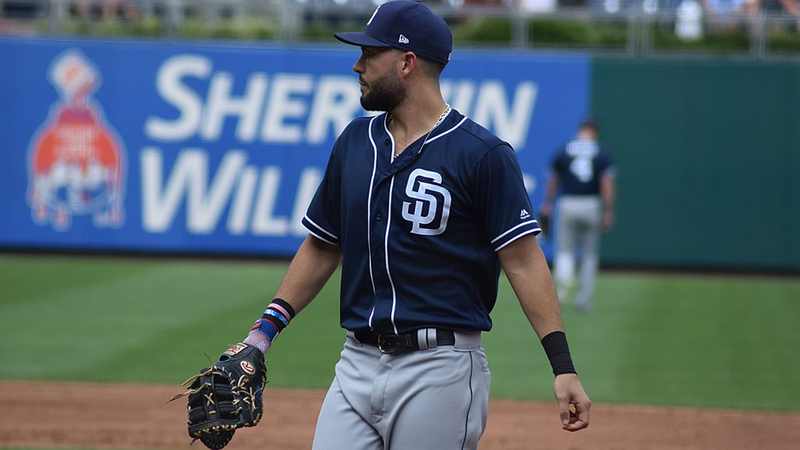 Behind him, he’ll generally have some combination of Justin Upton (who is showing great power potential himself so far this year), Chris Snyder (whose power I said I liked in my NL Waiver Wire article) and Stephen Drew behind him. He could certainly do worse. Given the quality of batters around him, Reynolds could be in for a breakout year. Given the potential of Reynolds for both a high batting average and a lot of home runs (plus RBIs and runs), he should probably be owned in all but the shallowest of leagues right now. He’s now being added at a rapid pace, but if he’s available in your league, he’s certainly worth a flier.